National Geographic names Carne Beach a global gem! The secret's out! The National Geographic today published it's guide to the 'Top 10 Beaches to Visit Now' and Cornwall's very own Carne Beach has been named one not to miss. Ranked second, behind El Nido in the Phillipines and ahead of both Panama City Beach in Florida and South Australia's Glenelg, Carne is described as 'one of the broadest and most beautiful'. 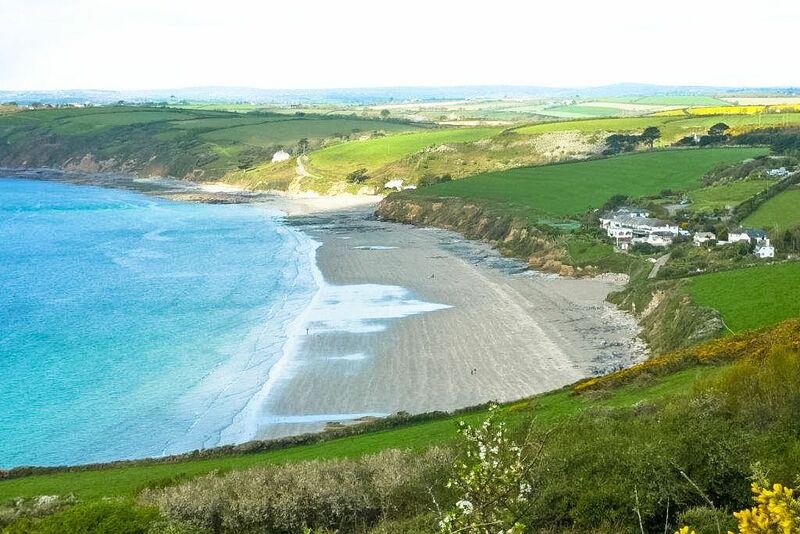 Set within Gerrans Bay on Cornwall’s oh-so-beautiful Roseland Peninsula, Carne lies side by side with Pendower beach. At low tide, these two shores join, adding up to over a mile of uninterrupted golden sand. Carne is known for it's calm safer waters and much loved for swimming, snorkelling and rock-pooling. A pretty stream offers an extra safe place for children to enjoy the water. 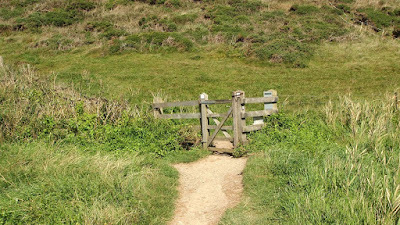 Dogs on leads are welcome throughout the year making this a great spot for walkers to pause and unwind on their way along the South West Coastal Path. Carne is owned by the National Trust and is also a designated Area of Special Scientific Interest. A car park leads directly to the beach down a gentle slope. 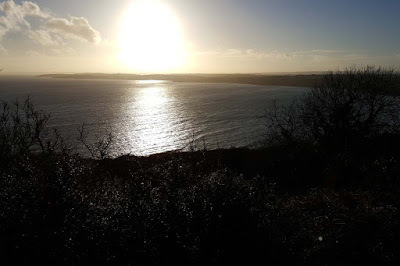 Visit Cornwall in 2016 and see for yourself what a spectacular place Carne is! 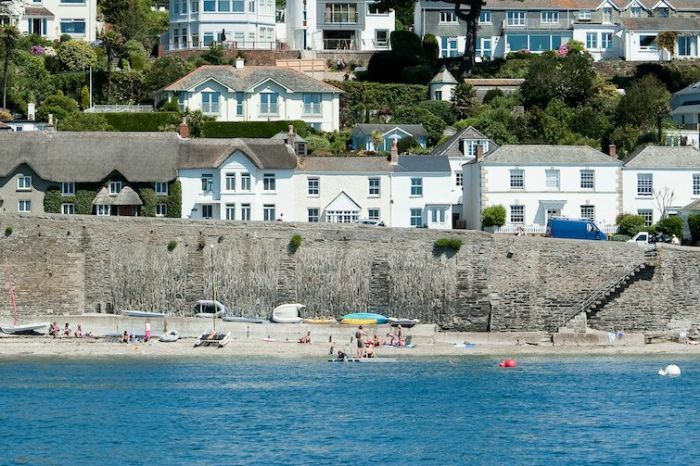 Cornwalls Cottages features loads of properties on the Roseland, offering a great base for exploring Cornwall's - no, the world's - best beaches! 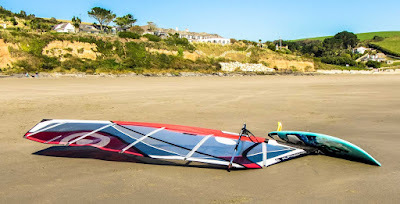 Book your beach break now! The view from the garden at The Hut overlooking Carne and Pendower beaches. Weeks available in March from only £279. Read what the National Geographic had to say about Carne here. It’s no secret that Cornwall is home to some truly great gardens. From the historically significant to the horticulturally exciting, these glorious oases have been attracting visitors for decades. 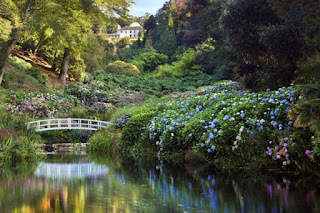 With spring blooming, flower beds blossoming and temperatures rising these extraordinary gardens are yet another great reason to visit Cornwall. 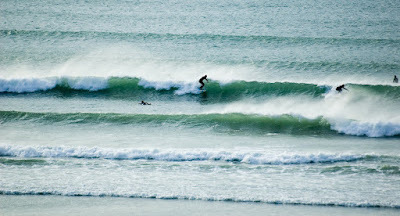 Here’s another: did you know that Cornwall has a warmer climate than the rest of the UK? It’s true - warmth carried over by the gulf stream catches our little peninsula and keeps our gardens - and us - a little cosier. That’s why so many rare and subtropical plants are able to thrive here. This is our guide to the must-see gardens of 2016. Not booked your getaway yet? 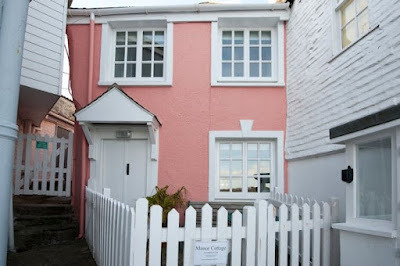 Visit Cornwalls Cottages to find your perfect holiday cottage. If you like stately homes, formal gardens, wild woodland, rivers or rambling walks, then Lanhydrock has something for you! The gardens which surround the house are beautifully maintained by skilled gardeners and contain a stunning array of rare shrubs and trees. Elegant flower beds flourish throughout the year so there is never a bad time to visit. 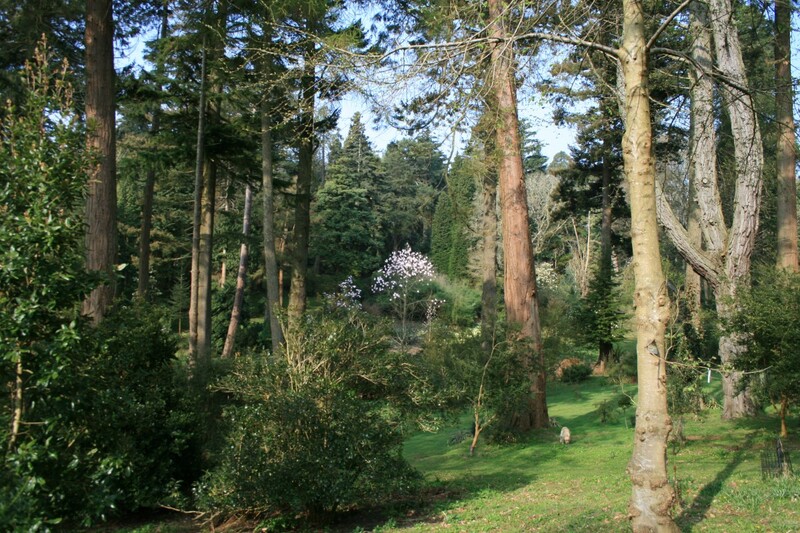 Beyond the garden walls are 450 acres of wooded parkland, cut through by fast-flowing branches of the River Fowey. It's perfect for picnics, dog walks, long walks, short walks - whatever you feel like! To check opening times, please visit the website. Search our range of great holiday cottages nearby in Bodmin. 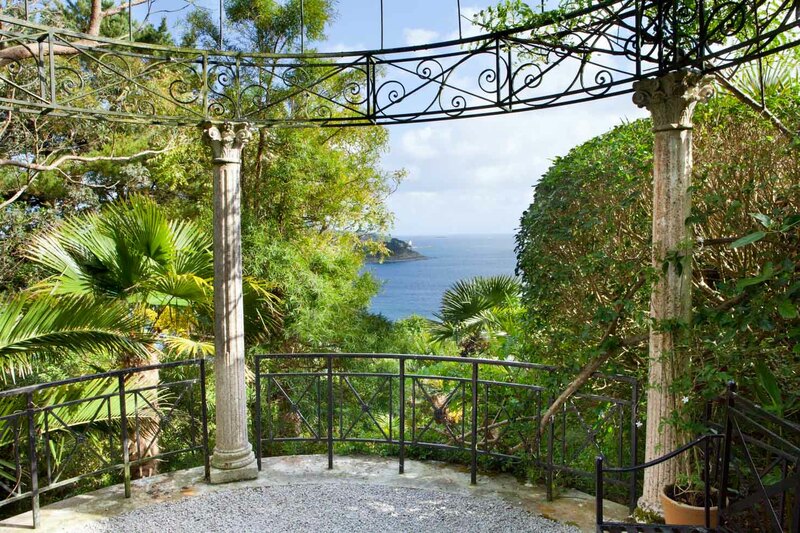 Watch the water of Falmouth Bay glitter between the trees of this sub-tropical paradise as you follow the winding paths within Lamorran Gardens. Throughout the four acres of polished landscape you'll find statues and water features alongside an enormous variety of plants. Lamorran features a Japanese garden and a Mediterranean style garden which really gives the feeling of being on the Italian Riviera. It's well worth a visit for all those staying on the Roseland! 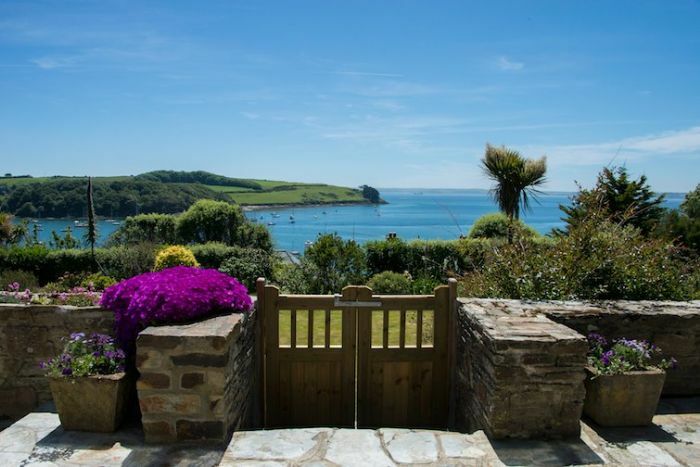 We've got lots of great properties in St Mawes and elsewhere on The Roseland Peninsula. 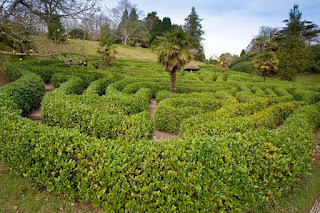 The gardens at Trebah are the result of 200 years of horticultural effort and are a sub-tropical paradise. During spring these 25 acres of wooded ravine gardens are packed with beautiful rhododendrons, some over 100 years old. A wonderful Water Garden is built around a natural spring in the heart of the garden and a small picturesque beach sits on the edge, beside the Helford River. 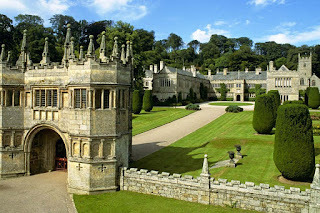 You could easily spend all day here - it's no wonder that Trebah is rated one of the 80 finest gardens in the world! 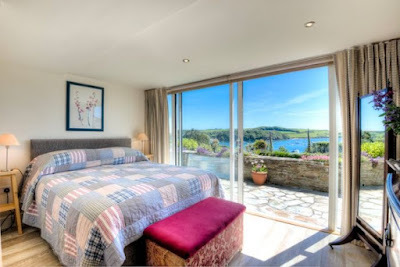 Click here to find cottages nearby beside the Helford River. 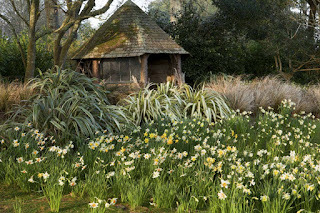 Heligan is one of the most romantic and mysterious gardens in England. It was the seat of the Tremayne family for more than 400 years but the grounds were neglected when the gardeners left to join the war effort in 1914. 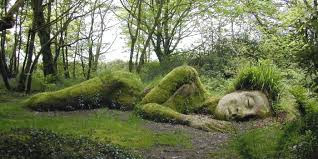 Heligan’s wilderness became Cornwall’s real ‘secret garden’. The project to restore the garden has been a journey of discovery, unravelling the story of it’s former keepers. So far, 200 acres have been transformed back into a place of remarkable beauty and tranquility. It’s a wonderful place for all ages to explore and a great spot for a family day out! Gardens are open everyday except Christmas Day, 10am - 5pm. 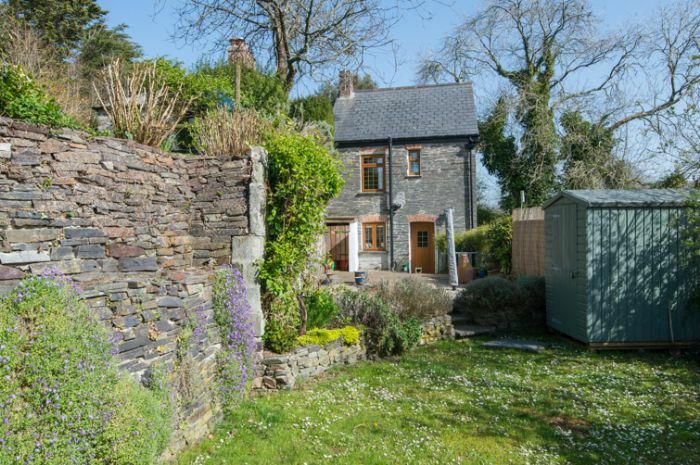 Find great properties near Heligan in St Austell, Mevagissey and Pentewan. Next door to Trebah Gardens, in a stunning valley beside the Helford River, lies a real treasure from the National Trust. Glendurgan Gardens feature a rich array of subtropical plants and spectacular arrangements of wild and exotic flowers. Visitors old and young will love strolling through the gardens, unwinding beneath the trees and getting lost in a recently restored, 19th century, laurel maze. To finish, there is a lovely little pebble beach at the end of the garden, where you can walk beside the peacefully lapping waters of the Helford River. Please check the website for opening times. 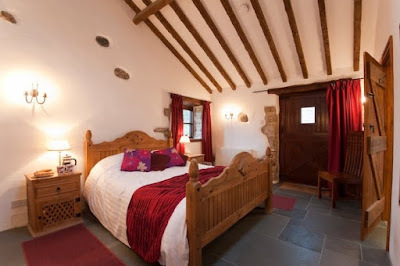 Browse amazing cottages near Glendurgan beside the Helford River. 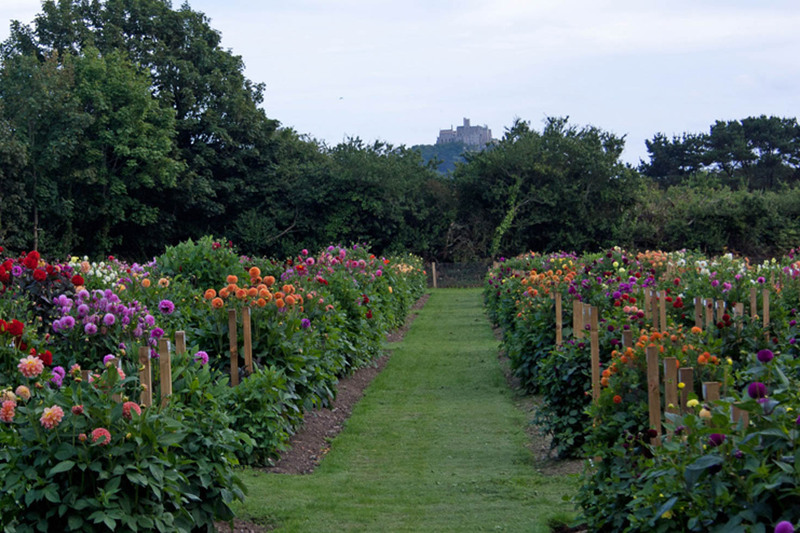 Visit the National Dahlia Collection at Varfell Farm and stroll between rows upon rows of beautiful vibrant, dahlias. In all, the garden contains over 1,600 dahlia varieties, beautifully arranged over 1 ½ acres. Stand among the flowers and look out at the stunning views of the castle on St Michael’s Mount. Entry is free and dogs are welcome to join you. Dahlias in pots are for sale in the adjoining poly tunnels, with payment via an honesty box. The dahlias garden is open from late July to September. This magical garden is a fusion of authentic Japanese gardening styles with local and exotic plants. Discover the tranquility that comes from strolling around the Zen Garden and the water features inside the Water Garden. The colourful pools of Koi carp will delight children whilst you relax and enjoy some refreshments on the balcony of the Cha-Seki (teahouse). Best of all, the garden is home to a specialist nursery which stocks a fantastic variety of Bonsai. Admission into the nursery is free. Garden open 7 days a week between 1st March - 31st October 10am - 6pm. Take a look at our fantastic properties nearby on Cornwall's Atlantic Coast. Perched right on the water's edge at the head of the Fal Estuary, Trelissick Gardens boast incredible views towards Falmouth up the Carrick Roads. Beautiful plants including huge camellias, rhododendrons and azaleas fill every corner and line every border. Gently sloping lawns and spectacular views across the river make Trelissick an excellent spot for a picnic. There is also a wonderfully serene Woodland Walk - perfect for a laid back stroll on a sunny day! Gardens open everyday 10.30 - 5.30pm. Closed on 25th and 26th December. 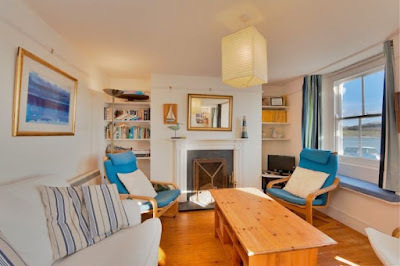 Discover amazing cottages nearby in Truro. 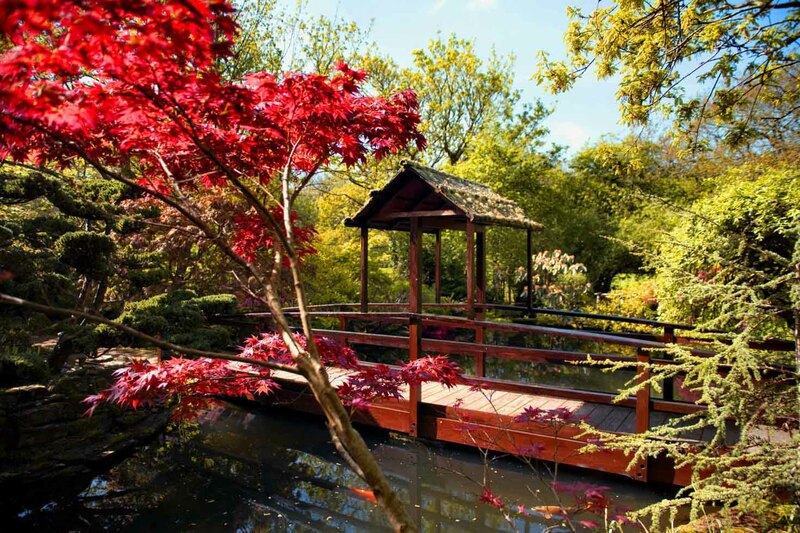 In all, twelve different gardens make up the exquisite grounds of Pinetum Park. The owners have travelled extensively to research, design and source each one of these spectacular gardens. Their hard work has certainly paid off: the gardens are simply beautiful with plenty to see all year round. Here you will also find a tea room and a farm shop, both selling home-grown or local produce. Dogs on leads are welcome. Gardens are open everyday, all year round, 10am - 6pm. Last Tickets 4.30pm. 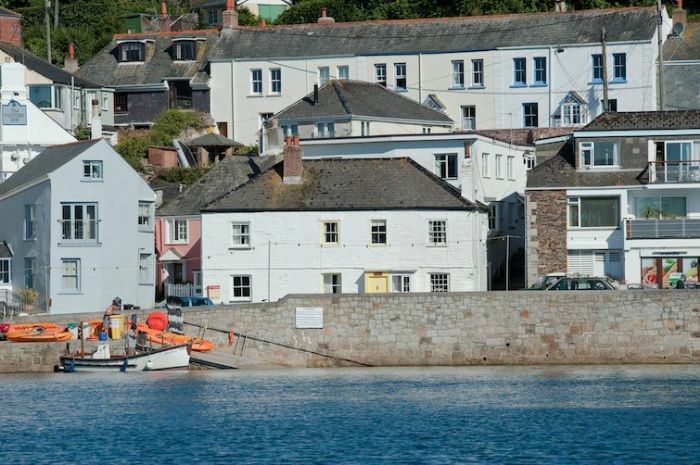 Search for great properties nearby in South East Cornwall. The gardens at Tregrehan have been the pride of the Carlyon family estate since their arrival in 1565. A number of rare trees and flowers flourish in this beautifully maintained 20 acre woodland garden. Many of the species found in the garden can be purchased in the nursery, where professional advice is also on hand. 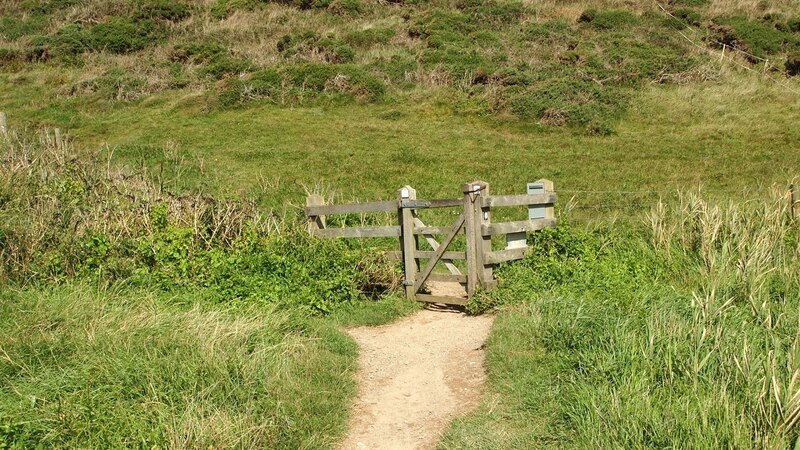 Tregrehan is an exceptionally peaceful destination - so leave your worries at the gates, unwind, and enjoy the scenery. Please note that dogs are not allowed in the garden. 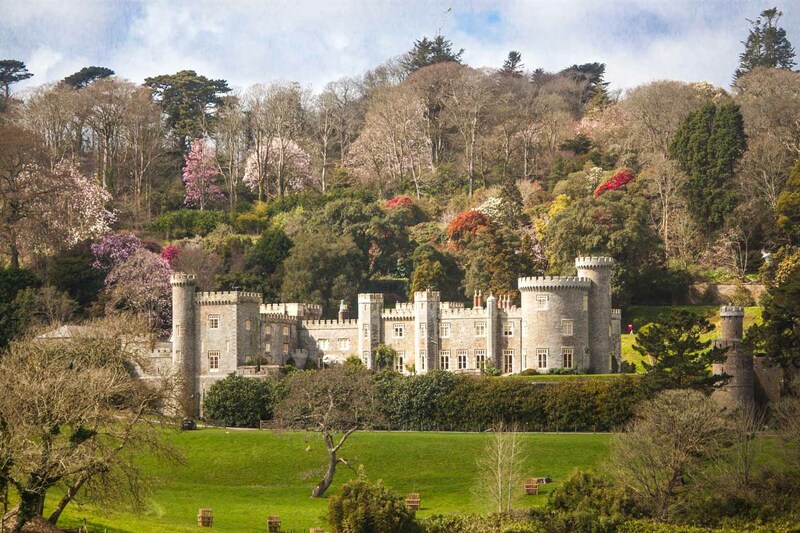 Caerhays Castle and Gardens is privately owned and sits within the shelter of a valley overlooking Porthluney Cove. 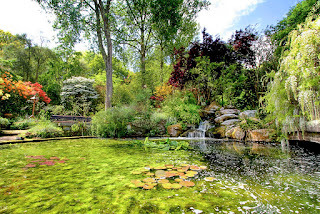 The 140 acre Grade II listed garden is highly regarded as a world-class sight of horticultural importance. Their significance was again recognised this year by the Historic Houses Association, who awarded them 2016 Garden of the Year. Visit their famous collections of camellias, rhododendrons and magnolias, alongside rare species brought over from China by plant hunters in the early 20th century. Since then an extensive amount of hybridisation work has taken place, creating the amazingly rich array of plants that visitors enjoy today. This year the gardens are open to visitors from 22nd February - 19th June. Dogs on leads are welcome. AT LAST the evenings are finally drawing out to make way for those beautiful, dusky spring evenings we’ve been missing over winter. Whilst we love a cosy cottage in the colder months - lovely woodburners and crisp, frosty gardens - we’re more than ready for spring's colourful comeback! 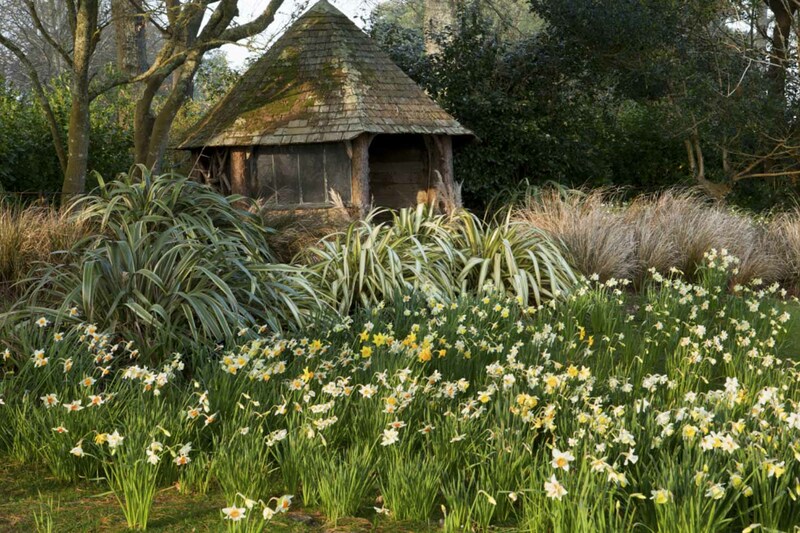 Say hello to bright mornings, daffodils and a few less layers on your casual coastal treks. Here’s a quick run-down of some of our five favourite things we’re looking forward to this spring. Not booked your spring getaway yet? Remember that our website has a fantastic range of holiday cottages, perfect for every kind of Cornish getaway - book now to avoid disappointment! Whilst we love our winter beach walks, we’re not brave enough to dip even a toe in the water much before March. So one of the things we’re most looking forward to this spring is getting back into a (slightly warmer) sea for a swim or a surf! Lifeguards start patrolling beaches from Easter weekend, so there's no better time to get out there! Click here to find cottages near beaches. The Easter bunny has been extremely busy this year, stashing easter eggs in hideouts all over the county. Turn a scenic walk into an exciting egg hunt, giving the family some fresh air and picking up delicious treats along the way! 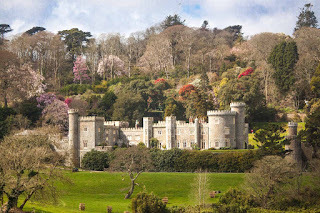 Easter Egg hunts can be found at Lanhydrock House and Garden, Tintagel Castle, St Michael’s Mount and the Eden Project! A huge number of events will be held between the 10th - 28th March as part of Falmouth’s vibrant Spring Festival. Local beaches and gardens will get a spring clean and runners will take on one of the most scenic half marathons in the country in aid of Cornwall Hospice Care. There will be Games on the Moor, a fabulous Spring Flower Show and, of course, the Cornish Folk and Cyder Festival. The full list of events which will be taking place can be found on the Falmouth Spring Festival website. 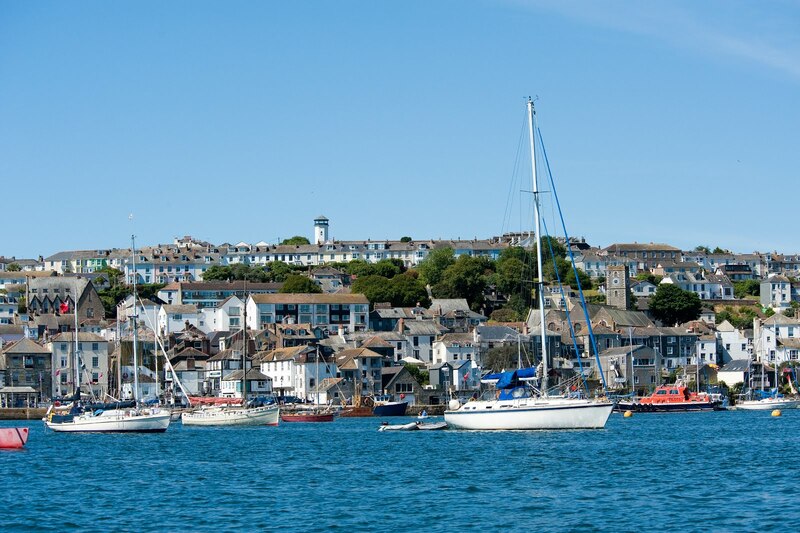 Click here to browse our stunning range of holiday properties in Falmouth. By mid Spring the theatre season will be in full swing and this year Cornwall has a programme not to be missed! The Hall for Cornwall in Truro promises something for everyone: younger audiences will love the all-new stage adaptation of David Walliams’ Gangsta Granny and Peter Pan on Ice. An Inspector Calls is arriving straight from the West End and the critically acclaimed Father will also tour here. Not to mention a full run of Chicago and A Midsummer Nights Dream by the RSC. 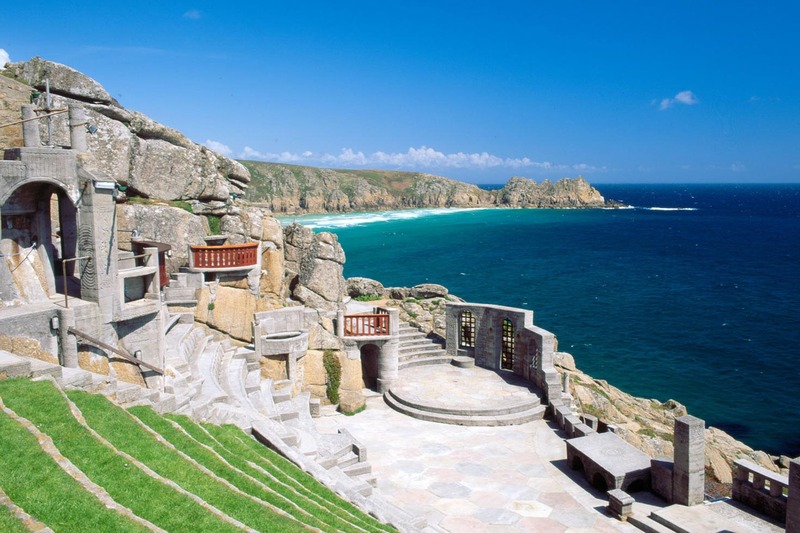 The Minack Theatre is starting off it’s season of seaside theatre with a production of Oliver! plus a number of musical performances and productions by local theatre companies. Click to search for properties near Truro, or a short drive from The Minack at Mousehole. Every year the Eden Project prepares a stella line up of musical acts to kick start the festival season. All performances are guaranteed to sell out so you’ll need to be quick about this one! Elton John, Paulo Nutini, Ellie Goulding and Oasis (to name a few) have all graced the stage. So far this year, performances by Lionel Richie and Tom Jones have been confirmed, with more acts on the way. Keep checking their website for more information! 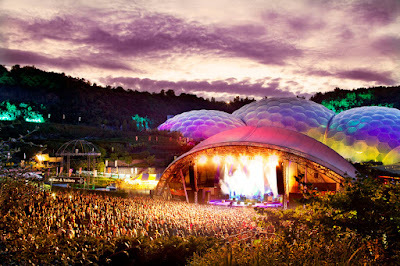 Search for holiday cottages near the Eden Project here. 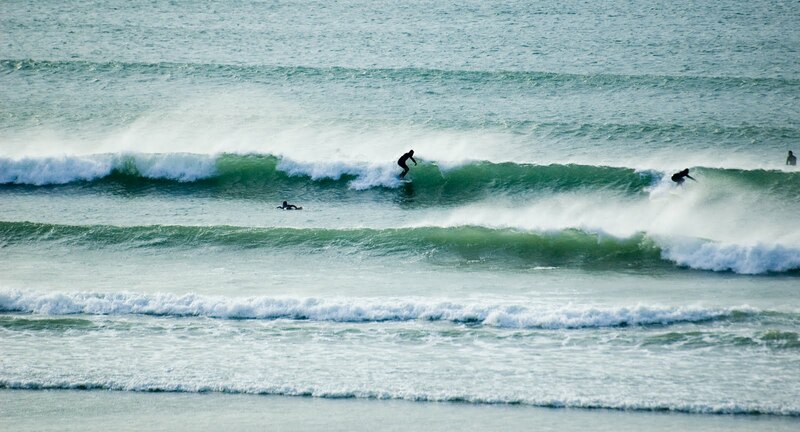 Escape to Cornwall this Valentine's Day! Why not make Valentine’s Day extra special this year and escape to the beautiful, serene seclusion of the Cornish countryside? We can think of nothing more idyllic than leaving the stresses of life behind you and sharing some fresh air in the countryside, or passing a cosy evening by the wood burner. Valentine’s Day is all about spending quality time together - so escape the rush and make the most of the weekend in the county where time slows down and life is to be loved! 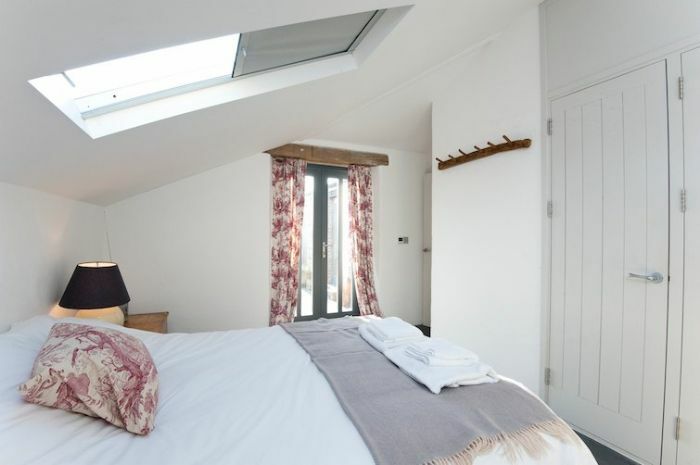 Whether you want to wake up to ocean views, step outside into rolling countryside or feel immersed in rural village life - we’ve got the perfect cottage for your romantic getaway. Here is a unique selection of properties, handpicked by us, filled with character and available this Valentine’s Day - for now! Don’t forget that our website has loads more incredible properties all across Cornwall. Search by proximity to beaches, pubs, shops, luxury properties and lots more, we make it easy for you to find exactly what you’re looking for. Do you dream of waking to ocean views and enjoying breakfast on the terrace, just footsteps from your bed? In that case, Hideaway in St Mawes is the perfect place for you! The exquisite vista that floods into the bedroom also fills the glass doors in the living room. Looking straight across the harbour, this beautifully presented apartment could not be better placed - being at once quiet and secluded, yet only minutes from the buzzing village with all it's pubs, shops and restaurants. 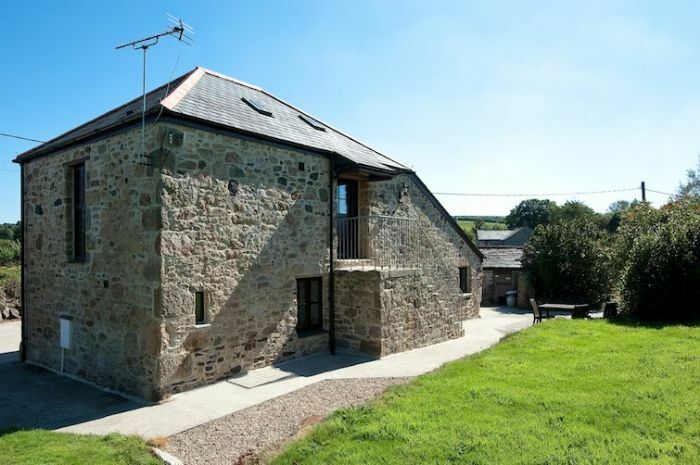 This charming barn conversion is located on Tregullon Farm, just outside Bodmin, in the heart of Cornwall. The property is filled with attractive features which are characteristic of a traditional barn conversion, including wood beam ceilings and classic barn doors. It's the perfect balance of authentic, rustic charm and modern comfort. 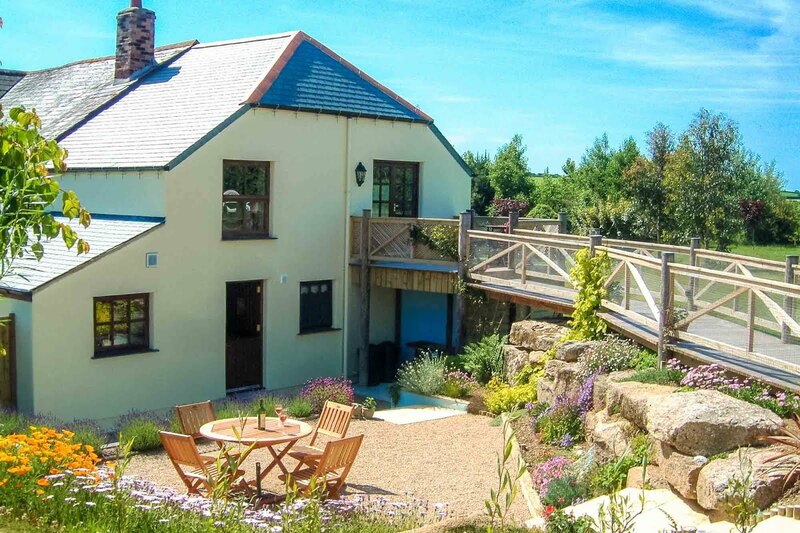 The house is equidistant from both the North and South coasts, making this a fantastic base for exploring Cornwall. 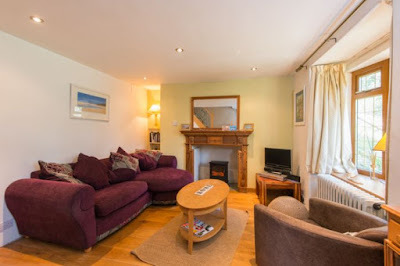 So whether you want to watch the dramatic surf of the Atlantic or amble through the quiet, picturesque villages that line the south coast, you'll be well placed here. 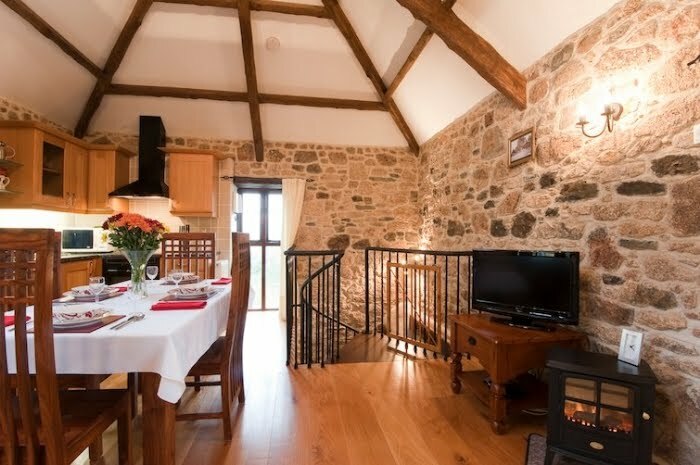 Another fantastic barn conversion ideal for a romantic break, this property occupies a beautiful spot in North Cornwall, just a few minutes' walk from the beach at Crackington Haven. Glass doors make the most of stunning panoramic views across the valley to the sea. This modern, stylish property features an open plan living space with a cosy wood burner and beautiful slate floor throughout. The living room and master bedroom both have direct access to the patio, where you'll find a lovely BBQ area. There is even an outdoor shower to rinse off the sand after a trek along the beach! 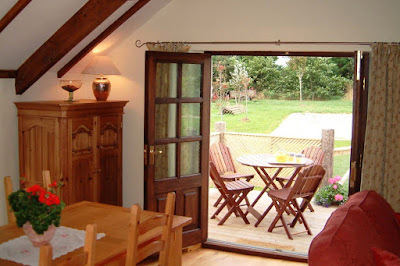 Here is another wonderful cottage perfect for couples in search of a quiet, cosy getaway. The living room features a fabulous fireplace to warm up a winter evening and luxurious sink-into sofas. 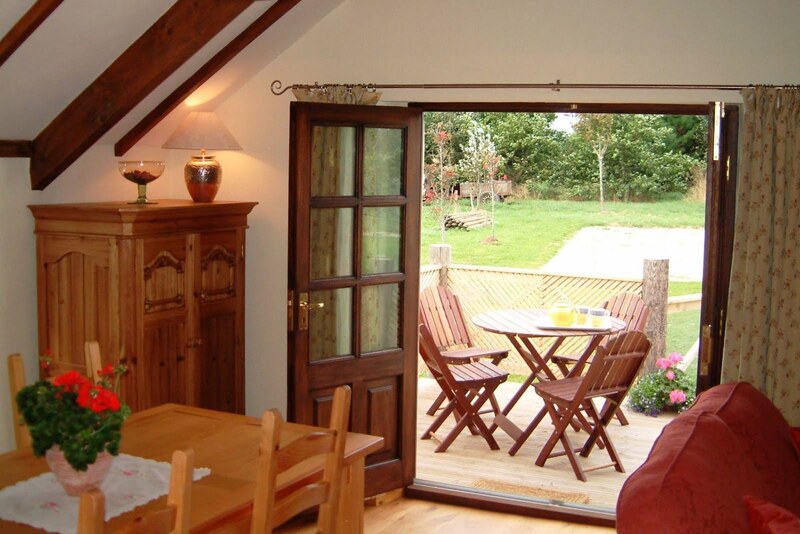 Well-presented and filled with pretty, character features Lansant-an-Vre is a superb countryside escape. Although Wadebridge is only 5 minutes' away, with it's range of restaurants, shops and pubs, from here you'll feel a hundred miles from anywhere. It's a place of utter tranquility. Easy access to the A39 makes reaching the North Coast incredibly easy: Padstow and Polzeath (which are pleasantly quiet at this time of year) are both only 20 minutes away. 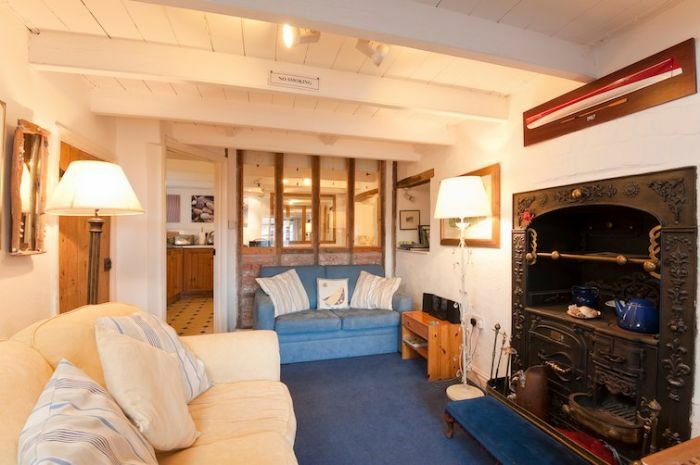 Our Cottage is a picture-perfect traditional village cottage with an enviable position on the seafront. Cross the road and you're standing on the beach, whilst a two minute walk down the road will land you in the centre of St Mawes. A fabulous sun deck makes a perfect spot for BBQs, overlooking one of the most beautiful villages in Cornwall. Although this property can sleep up to eight guests, it's perfect location and cosy interior make it a wonderful destination for a couple. 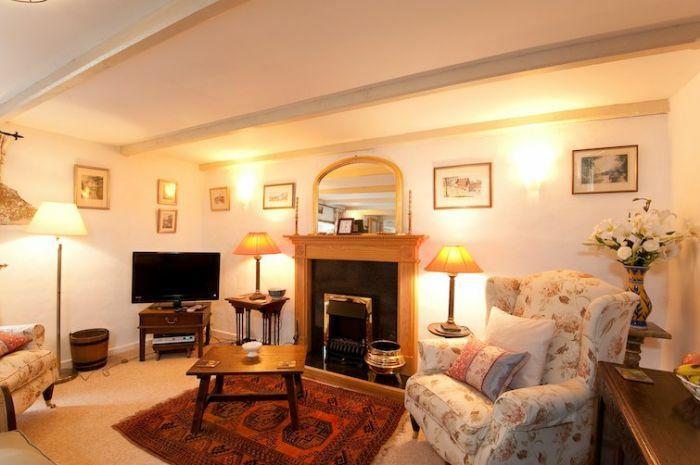 The ground floor features a lovely open living area with a real fireplace and a well equipped, modern kitchen. Watch the world go by from this picture-perfect cottage in the heart of St Mawes. Manor Cottage is filled with charm and traditional character features. It also boasts beautiful views of the harbour (which is only 20 metres in front). A lounge at the front of the property looks out to sea and a clever glass wall means the view isn't lost to the kitchen. Overall, if you're looking for a traditional, picturesque property in the heart a village and next to the sea - Manor Cottage is for you! 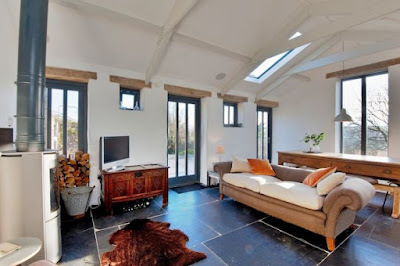 This stunning barn conversion lies on the edge of beautiful rugged moorland in south west Cornwall. Just 10 minutes from the famous seaside village of St Ives, Chypons is the best of both worlds: acres of wild countryside and wooded valleys plus easy access to the seaside and village amenities. Here you can enjoy privacy and tranquility but without feeling entirely cut off. This romantic property is 200 years old and comes with plenty of character, from the attractive exterior to the exquisite antique furnishings. If you're looking for peace and quiet (who isn't?) 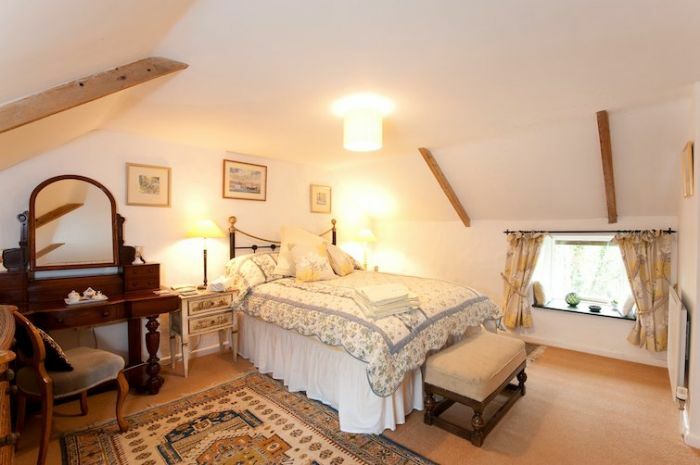 then Vineyard Cottage has something for you! As the name suggests, the property is located on a former working vineyard, in the heart of the stunning Roseland Peninsula. You could easily pass your time simply enjoying the serenity of the surroundings. 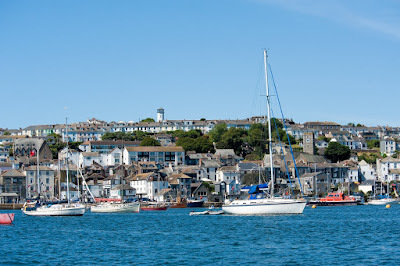 However, should you wish to explore the nearby attractions, the Eden Project and National Maritime Museum Falmouth are both within easy reach. 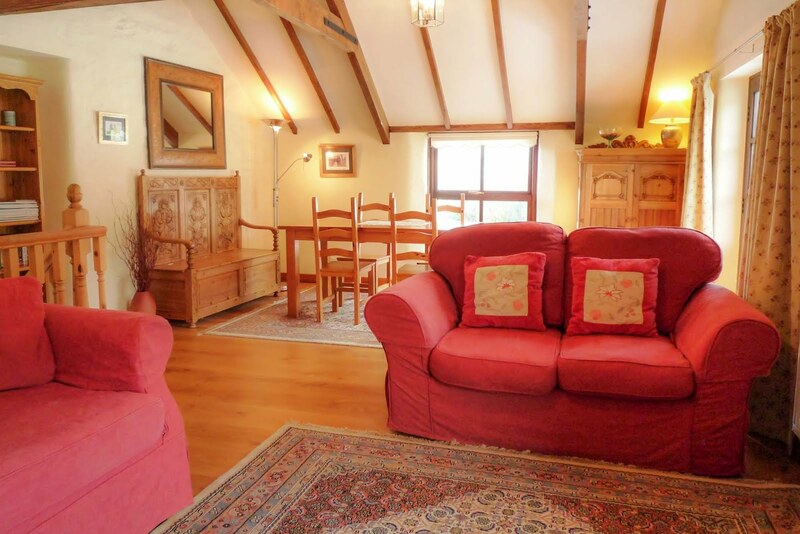 The cottage itself is full of elegance, being beautifully furnished and immaculately presented. 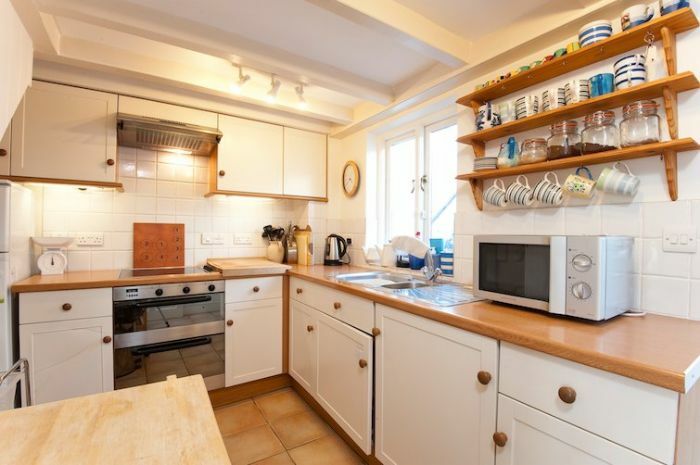 Unusually for a one bedroom property, it is also very spacious! 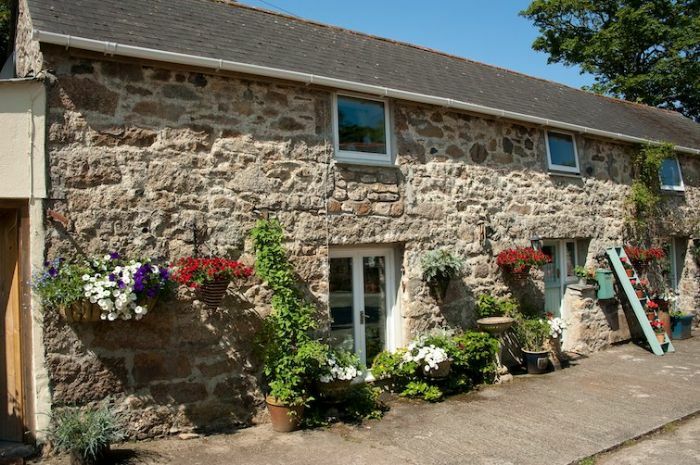 Darzle Cottage is a delightful converted barn wonderfully located on the north Cornwall coast, close to the Devon border and with fabulous walks, stunning cliff top scenery, endless beaches and dramatic headlands. Journeys End is a cosy, character, end of terrace property located in the heart of Wadebridge and within a stones throw of the midway point on the Camel Trail, a stunning, traffic free, cycle track that follows the old railway down the Camel Valley from Bodmin through Wadebridge and out to Padstow. 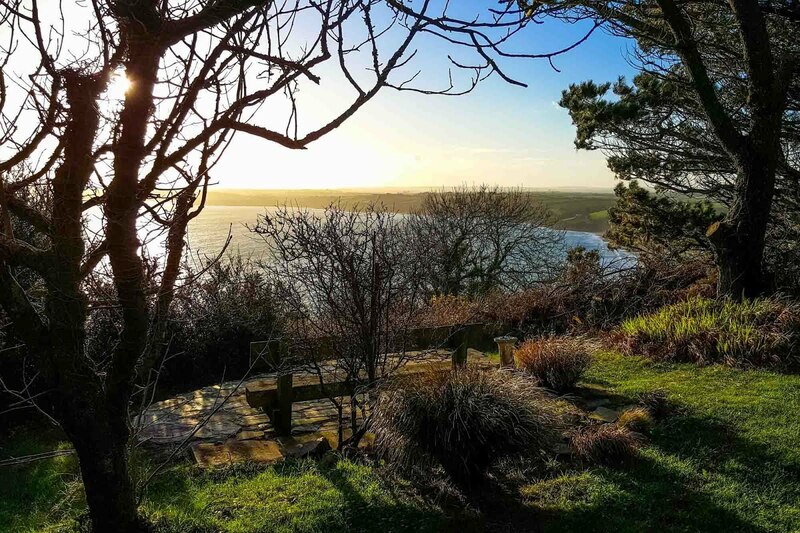 Seagreen Lodge is a comfortable 3 bedroom lodge on the idyllic Trewince Manor Estate with stunning sea views of Gerrans Bay. This beautiful estate has a creek on one side and the stunning Roseland coastline within easy walk on the other. There is a luxury indoor swimming pool, jacuzzi & sauna to use on the estate and extensive grounds. The harbour village of Portscatho is nearby and there are superb beaches within a short drive. 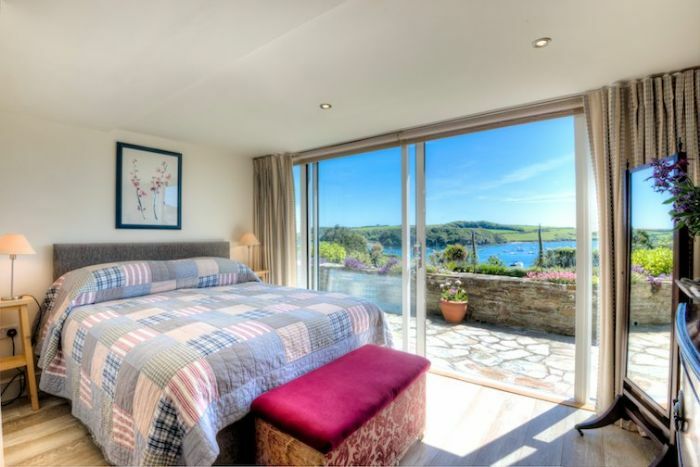 The Watch House is a luxury apartment set in the heart of the picturesque village of St Mawes with views of the Harbour and bay from every room. The apartment has been designed and refurbished in a contemporary style and includes a stunning lounge and dining area with open plan fully fitted kitchen. The living space has 2 large windows with uninterrupted views and is a wonderful place to relax and let the world pass you by! 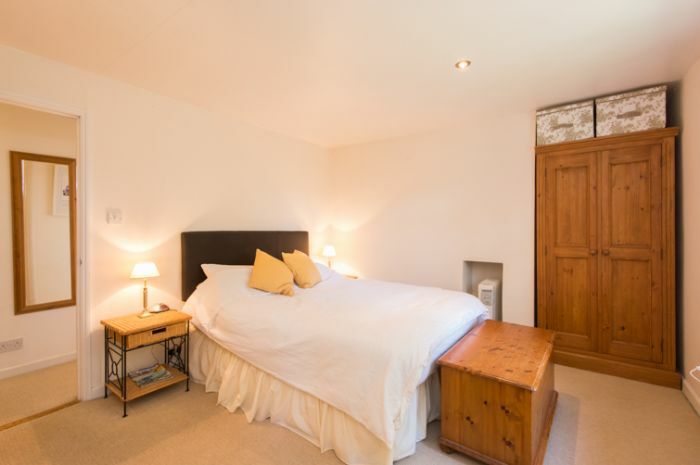 A 10% discount is available to a couple only sharing one bedroom outside the peak season. A recently constructed detached holiday cottage in a south facing position just a few minutes' drive from the popular resorts of Portreath and Porthtowan, with open plan living, modern facilities and a brilliant patio deck overlooking rolling countryside, this is a quite wonderful place to stay! Pippin Cottage is an immaculately presented, spacious barn conversion with beautiful views across glorious rolling countryside. Just over a mile from Pendower beach and centrally located on the Roseland peninsula this is a perfect destination for a relaxing holiday.